Contact one of the many park and green space community groups in the city. Take a look at our list of parks and great space groups. Volunteers are covered by the council's insurance if they are working with a council officer, or if the work has been agreed by a council officer and a first aider is present. Our rangers support and organise a number of regular citywide volunteering opportunities. 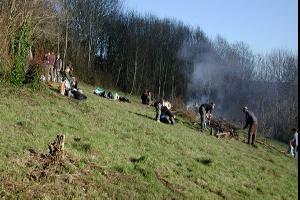 These include a conservation volunteering group that goes out to various parks and natures reserves. Some people come most weeks, others just a few times a year. If you’d like to be added to the mailing list please email cityparks.volunteers@brighton-hove.gov.uk. The group currently meets every Friday at 10am, but do let us know if you're available other days.